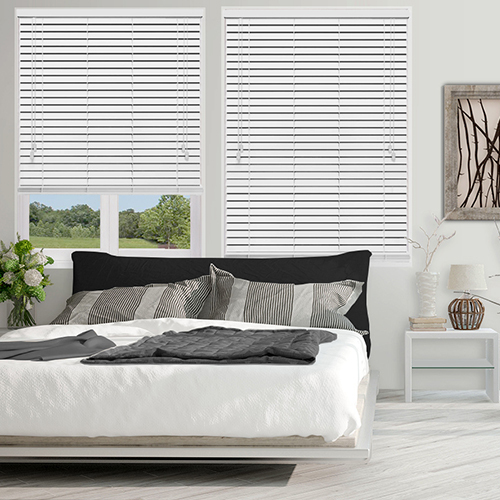 This White faux wood blind has a high shine gloss effect and is moisture resistant and flame retardant. Universal End Fix Box brackets are supplied. 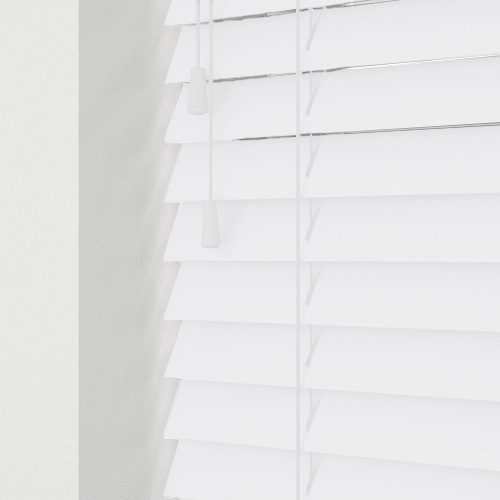 A cord consolidator is fitted to all blinds to assist with child safety. All control cords & acorns colour co-ordinating along with bottom rail & headrail. 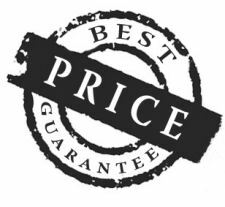 38mm blinds are supplied with a 39mm x 39.8mm headrail, 50mm & 63mm blinds are supplied with a 58mm x 39.4mm headrail. Recess blinds are supplied with a valance 8mm wider than the blind. 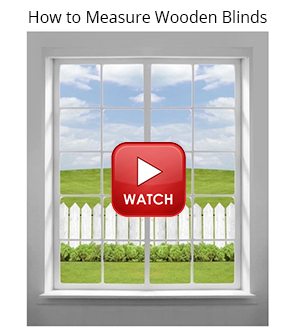 Exact blinds with mitred returns will be 20mm wider than blind. This product is not recommended for use in conservatories or areas where there is intense heat.